Tweenage twins keep me fairly busy when I'm not working! I have been teaching learners since 1999, and training instructors since 2004. In that time I have trained hundreds, if not thousands of people to either drive or become driving instructors. I learned very quickly when I started the job that simply teaching someone does not involve firing a series of instructions. Instead, it is about building an understanding of knowledge with the pupil, whether that be existing or newly acquired, and then developing a way of transposing that knowledge into ability. As a result, I use many different teaching styles, and achieve an extremely high pass rate. Since forming ELITE in 2008 I have striven to not only grow the number of instructors and areas we cover, but also to develop the quality of all our instructors and the services we offer as a whole. As a result we now have a team of excellent instructors that have all been personally chosen and receive 6 monthly training meetings and ongoing tuition. In November 2017 I made the switch from manual to automatic tuition, due to the ever increasing demand for automatic instructors. This is due to the popularity and ever increasing affordability of automatic cars. "I would like to say thank you to Ian my driving instructor. As an oap I thought it was time to carry out my driving lessons, it was some what nervous to begin with but Ian gave confidence after my first lesson. As my lesson progressed I became more confident as Ian was very patient and always very thorough. I would highly recommend Elite Driving School because due to the excellent coaching advice I was able to pass my test on my first attempt. Once again thank you Ian for being a great instructor." "I would like to extend my sincerest thanks to Ian Sedgwick at Elite Instructor training." "Before coming to Ian in 2018 to help me with part 2 and part 3 of the ADI qualification, I had used a larger UK wide training company where I was disappointed with the lack of availability of the trainers and the over-intensity of the training regime." "All this changed when I started being taught by ORDIT qualified Ian." "Ian took the time and trouble to assess what I had and hadn’t learnt properly and proceeded to deliver each 2 hour lesson with a tight client-centred focus." "The lessons with Ian included pupil role-plays; watching Ian teaching pupils whilst observing from the back seat; and being observed by Ian whilst teaching live lessons." "The lessons also focused clearly on the three main areas of competence i.e. Planning of the lesson, risk management, and teaching and learning strategies; as well as the 17 lower level competencies." "By the time I came to take my part 3, my level of teaching confidence was high and this helped to make the part 3 exam more relaxing and easier to perform well in. I passed." "Once again many thanks to Ian and his team for all their help. I would recommend Ian to any one who wants professional help in becoming an ADI." "Ian is the best instructor I have got my licence and I have tried others but he is the best." "I want to thank my instructor Ian Sedgwick for all his valuable time and effort that he's put into teaching me how to drive. Ian was very patient, professional and his level of knowledge really boosted my confidence in driving. Couldn’t thank him enough for finally seeing me through my driving test. I'd highly recommend!" 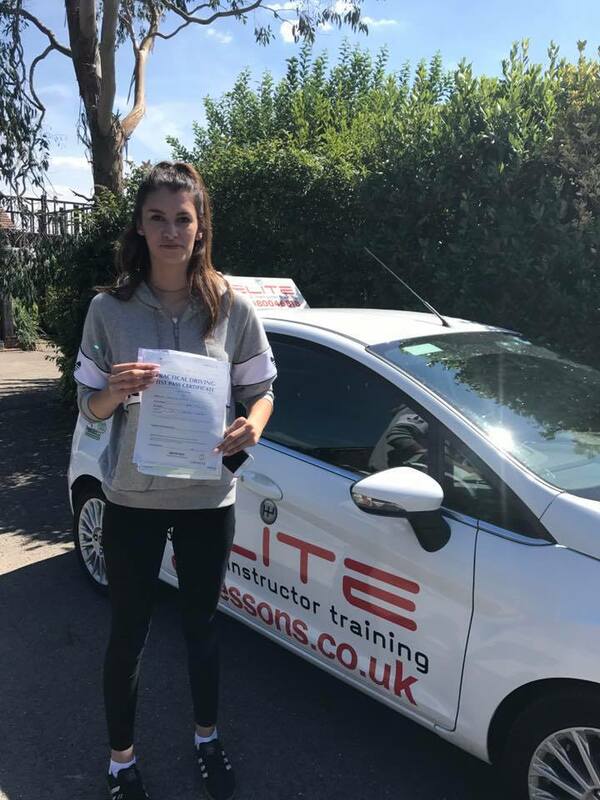 ""I had Ian as my driving instructor who is an excellent instructor, very patient and cares about the pupil and helps to pass the test. His teaching style is second to none, and sometime entertaining. He teach the most accurate driving behavior and the correct driving attitude, which would certainly benefit myself in much longer term than just to pass the test." 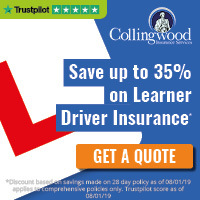 "So I definitely recommend Elite Driving School and Ian as a driving instructor - I cannot thank him enough for the time he has spent with me." "Thank you Ian so much for helping me with passing my driving test today. You are an excellent tutor, understanding and your patience with me was excellent. You gave me a lot of encouragement constantly, especially when I need the support. You always took the time to explain all my mistakes and talk me through each one. Your patience and calmness enable me to achieve my goals today." 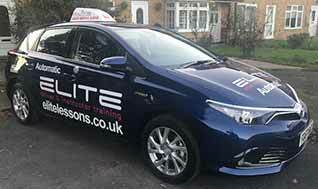 "You are genuinely a Fantastic instructor and I really enjoyed learning to drive with Elite. I would highly recommend Elite. Your are Fantastic - Patient And Kind." "I have just passed my automatic driving lesson under the wonderful guidance and encouragement of Ian. His level headed, personal, professional nature is perfect for when you're learning to drive. His continual support and belief was so appreciated and made it possible for me to Pass!" "At the age of 42 I started learning to drive. For years I had been fearful of starting lessons so late but once I had started lessons with Ian it all started fitting in to place I learnt at a pace that suited me and fitted around my work and family. Ian encouraged me to push myself, he reminded me when I needed to do my online learning and knew when I was ready to take my theory and practical tests. Ian’s faith in my ability to pass was unwavering and when the day finally came I was on such a high! It has been a joy to start driving people around that have been doing the same for me for many years. Friends and family who have sat in my passenger seat have said how confident and assured I am when driving." "I decided that when I retired from the Police Service I would become a driving instructor. I began the training and was successful with my part one and part two examinations. I was advised to take lessons in preparation for my part 3 examination. I had lessons with a local driving school and I was told that I was ready to take the part 3 examination which I took and was unsuccessful. I felt that I had not been properly prepared for the examination and decided to try another driving school. I approached Elite Driving School and began lessons with them, firstly with Ian then with Garry. I immediately noticed a vast difference in the level of instruction and the organization of the learning it was a noticeable improvement from the previous school. I then took my part 3 examination when I was fully prepared passing with a 5/5 pass. I would always recommend Elite Driving for A. D. I. Training. I am now in the process of starting to become an Instructor with Elite." "Very professional teaching, helpful office staff and good value. 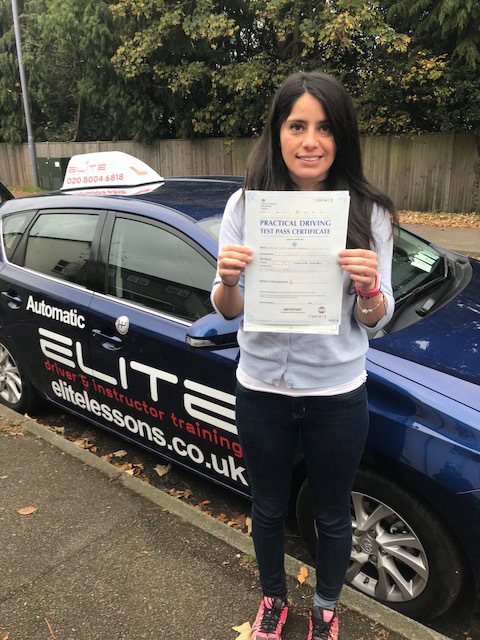 I was super happy to pass first time and I believe this was down to the great quality and thoroughness of teaching I received." "Ian is a fantastic instructor. Very patient and he helped me to get the confidence to take the test I wouldn’t have passed my test without him. Highly recommended very professional." 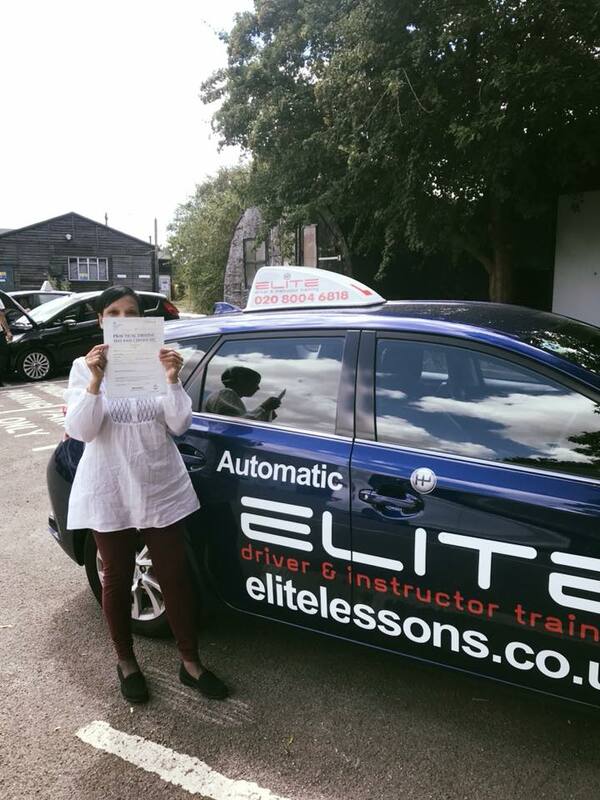 "Ian Sedgwick was my instructor I passed my test in one go. He’s really amazing personality so calm n always telling you things deeply for better understanding. Must say he is remarkable, fantastic, superb n everyone should approach him for best results." 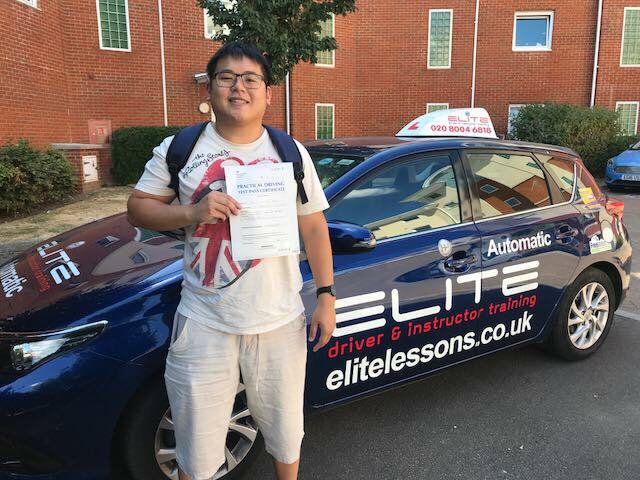 "Ian helped me pass as soon as I could and no lessons were very useful as he was patient and understanding." 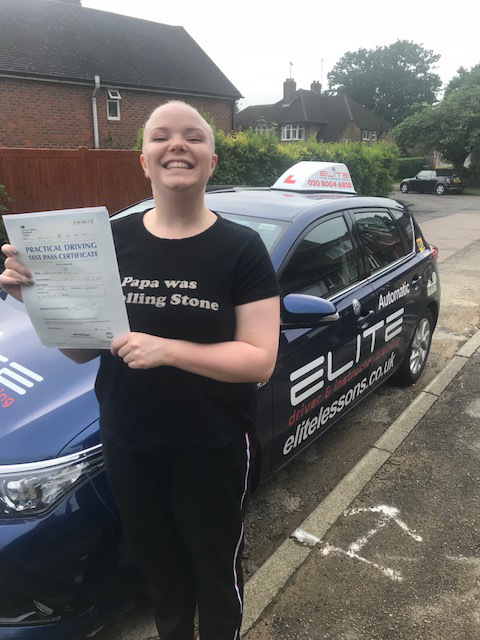 "I had the joy of having Ian as my driving instructor and hands down believe without his encouragement and skill I would of not passed my driving test, even when it took me 4 attempts he didn't lose hope! I would 100% recommend elite driving school to anymore wanting to learn to drive." 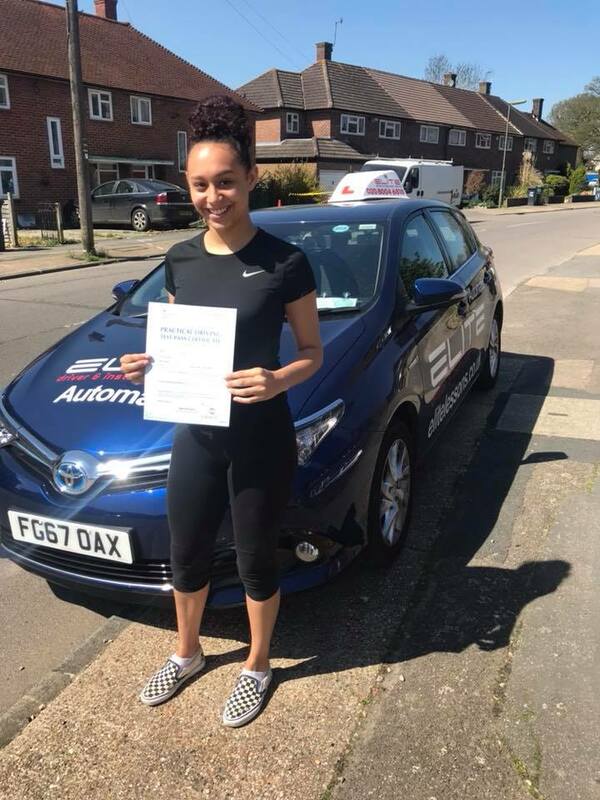 "I had Ian as my driving instructor, and he was brilliant, very efficient and organised, got me through to my test which I passed first time with 2 minors quickly, very friendly and supportive, would 100% recommend."